Crocknasmug is the 1096th highest place in Ireland. Crocknasmug is the most easterly summit in the Inishowen area. 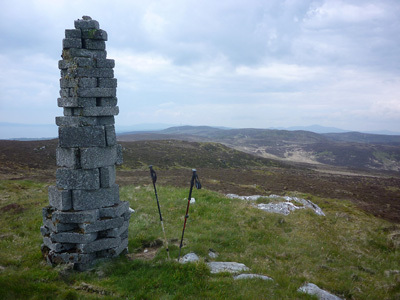 Picture from Harry Goodman : Marker "cairn" on Crocknasmug summit. Picture: Marker "cairn" on Crocknasmug summit. Inishowen list of hills now definitely completed !